Mr. Mihir Mankad is an established television anchor for reputed Indian TV channels such as NDTV, Zee and the national broadcaster Doordarshan (DD). The unique aspect of his television career is that he has been a top anchor in both the business and sports genres, hosting some of the most viewed events in the country such as the Olympics and Cricket World Cup. 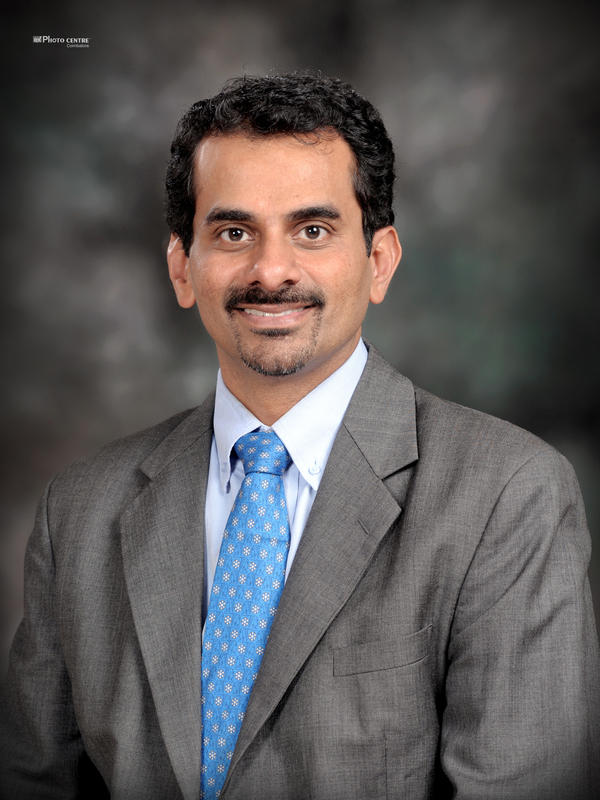 Prior to television, Mihir’s career spanned both the priv ate and nonprofit sectors, as a well-renowned strategy consultant (McKinsey India, Bain US) and as a leader in the development and nonprofit space (Clinton Foundation HIV/AIDS Initiative for children in India, and The Janet Pomeroy Center for the Disabled in San Francisco). His diverse career is mirrored by the diversity of his interests, which include sport, travel, media, and Latin and Ballroom dance. Please tell us about your early career and experience in the US. Following in my family’s footsteps (where 3 generations had represented the country in sports), and inspired by my own mother (the first Indian woman at Wimbledon), I was driven by a desire to make a mark in the tennis world during the first phase of my life. An early dream was fulfilled when I received a scholarship to attend Stanford University, and made the legendary tennis team. Winning the NCAA team Championships my freshman year was a highlight, but being part of the top ranked team, with the nation’s top juniors hand selected by the coach, meant that my playing time and starting position would be limited as a walk-on. Soon I came to the tough realization that professional tennis may not work out, also due to finances (it actually takes a fortune to transition into a top 200 ranking, where life becomes sustainable). So I decided to focus on a more traditional career upon graduation from college. Getting into management consulting and living in California (both in LA and San Francisco) was a good transition into the “real” world. My Kellogg experience was significant, rejuvenating, and enabling, and was marked by intellectual growth across disciplines (especially nonprofit management), and extracurricular highlights of leading the Consulting and Ballroom Dance Clubs (called “Movers and Shakers” then). Kellogg also enabled my top job choices, with offers from the San Francisco offices of BCG and Bain. Post a couple of years at Bain, I did some soul-searching and decided to look for an opportunity in either a social cause or media and entertainment (including sports) – two distinct but consistent passions of mine. After completing a 10-week strategic planning assignment for the Recreation Center for the Handicapped (RCH) in San Francisco, the board liked the work and created a new position for me. I signed on to a full time leadership position to implement my plan, at a fraction of my previous salary. After 2 exhilarating and challenging years, marked my marketing learned at Kellogg to raise funds, and strategic planning learned in consulting to create real change across functional areas at a 50 year-old nonprofit that had never seen PowerPoint before, my visa status in the US ran out. Given I had to live out of the country for a year to gain another 6 years of work status, I decided to move back to India, where the economy was seeing unprecedented growth and change. My one-year plan turned into 8, with some tremendous experiences spanning both media and development. It is very unconventional to see a B-School student in media and entertainment. How did you get into media? Is that something that you were thinking about doing? It was always at the back of my mind. In that sense, I was quite an untraditional MBA. Moreover, I felt that moving to India would allow me flexibility to explore, as I would not be tied to a visa status from a conventional employer. 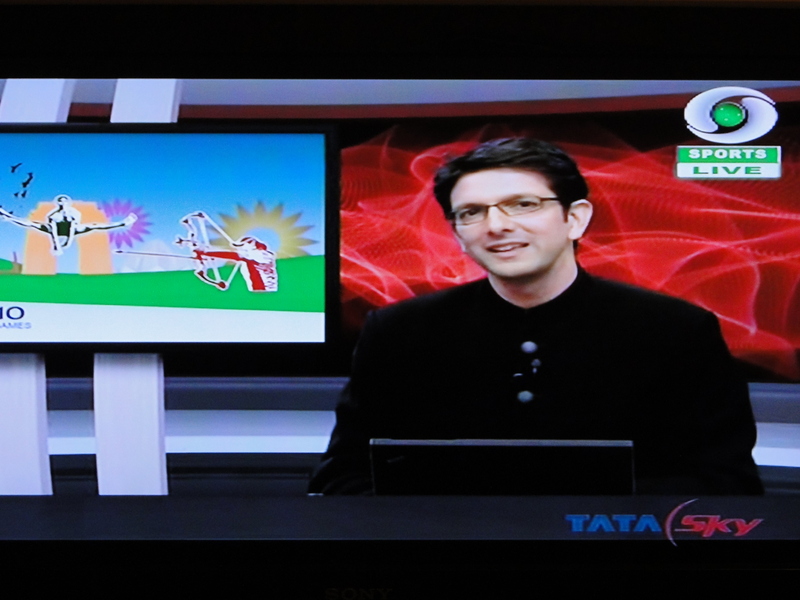 After working or consulting on the business side of media at McKinsey, Saregama (India’s largest music label) and Rajshri Media (a video content aggregation startup), I received my first break as a sports anchor with Zee Sports, anchoring the daily show Sports Planet (similar to ESPN’s SportsCenter). It actually took 3 years of waiting and knocking on doors to finally get that first break, after which things took off nicely. My family’s and my own sports background helped, but it was mainly a consistent persistence, including “elevator pitching” that eventually led to this unconventional career change. Can you share your TV anchoring experience with I@K? After my initial experience with sports news, I was selected to live anchor for the official broadcast of three of the most viewed television events in Indian history – the 2008 Olympics, the 2010 Commonwealth Games in Delhi and the 2011 Cricket World Cup, with daily viewership crossing 40 million. Out of these, the 2008 Olympics experience was particularly significant to me. Just 5 days before the start of this event, I lost my father. But I knew that he would have been proud to see me host this event. Keeping the sadness inside while facing the nation each day for 6-8 hours with a smile, I immersed myself in the 30 sports, 300 events, and 11,000 athletes, and the news, records, facts and trivia around them. This hard work also paid off, as I subsequently got invited to host virtually every major multisport live broadcast since, and also got a job from the CNN of India – NDTV. Can you share your experience as a Business anchor? At NDTV, I was actually asked to serve as a prime time business news anchor, and ended up hosting over 300 bulletins and shows. Interestingly, the 10 pm Nasdaq Live show involved interviewing a live guest in New York on US markets each night, typically a renowned CEO, market expert, or economist, and I found myself having to keep updated on both the Indian and US economies. My Kellogg MBA and especially Finance courses came to good use, and I extensively researched and analyzed financial markets, corporate strategies and macroeconomic policies to prepare for my shows. Outside of news, I particularly enjoyed features, including anchoring the well received Boss’ Day Out show, for which I spent a day with some of the nation’s leading CEO’s. What is your accomplishment on the nonprofit side? My television career was coming along well when one day I suddenly received a call from a former Bain colleague who had just moved to India and saw me on TV. He eventually convinced me to change paths again for an incredibly impactful and time-bound opportunity to lead The Clinton Foundation’s Health Access Initiative (CHAI) in India, with a focus on children with HIV/AIDS, during the critical last two years of the program’s funding in India. With the world’s third largest infected population in our country, I was fortunate to become a part of a brilliant global machinery that was literally saving or prolonging the lives of thousands of children, many orphans, via life-saving ART medication and innovative nutrition and psychosocial support programs. The experience was also an outstanding leadership opportunity, as it involved managing a staff of 60, fostering relationships with 200 partner NGOs, and gaining credibility with key government officials. I travelled throughout the country, meeting partners and beneficiaries (children, caretakers, “high-risk groups”) to keenly understand issues and new solutions first-hand. Outside of our specific mandate, I was also able to contribute significantly to the new IEC (Information, Education & Communication) policy of our latest National AIDS Control Plan (NACP-IV), with specific media interventions for increasing awareness and lowering stigma. Given the global financial crises, our overseas funders eventually ended their support for India after the agreed 5-year term, and after successfully transitioning most of our interventions to the government, I returned back to TV anchoring. I have just received a Presidential scholarship to attend the mid-career Mason Fellows program in Public Administration at Harvard University’s (Kennedy School), and will be leaving shortly for this enabling, one-year program, which starts in the summer. Over the past few months, in addition to anchoring, I have also served as a guest lecturer at four major universities in Delhi, on an innovative and interactive “practical life skills” module that touches on business essentials, public speaking and elevator pitching, and have found this experience very rewarding. How did Kellogg help you in the thinking process throughout your career? Is there anything you would have done differently if you got a chance to go back to your Kellogg experience? Kellogg to me was more about the people experiences than the theory (much of which can be learned on the job). It instilled a confidence in dealing with diversity. I also felt that it was a “fair” institution, with rewards matching effort. A subtle thing that I may change if I could go back is to find the same hunger and humility in my second year as I had in my first. When things worked out well in my first year, I felt I may have developed a bit of overconfidence, and taken my foot off the pedal at times. I would also recommend more OB/MORS classes, given the people oriented nature of most jobs today and the occasional politics that all of us inevitably run into. What is your advice for readers reading this article? That it’s okay to be more of a journeyman than a destination person. New and unconventional opportunities are constantly being created, and are there for the taking. Let your MBA give you options, not limit you. Of course there is value in focus, and our typical Type A personalities will lean this way. But my life has also worked out just fine. For the first time at Kellogg, more than a dozen Kellogg professors across departments, had a chance to go on the Global Immersion in Management (GIM) trip that is normally only conducted for students. 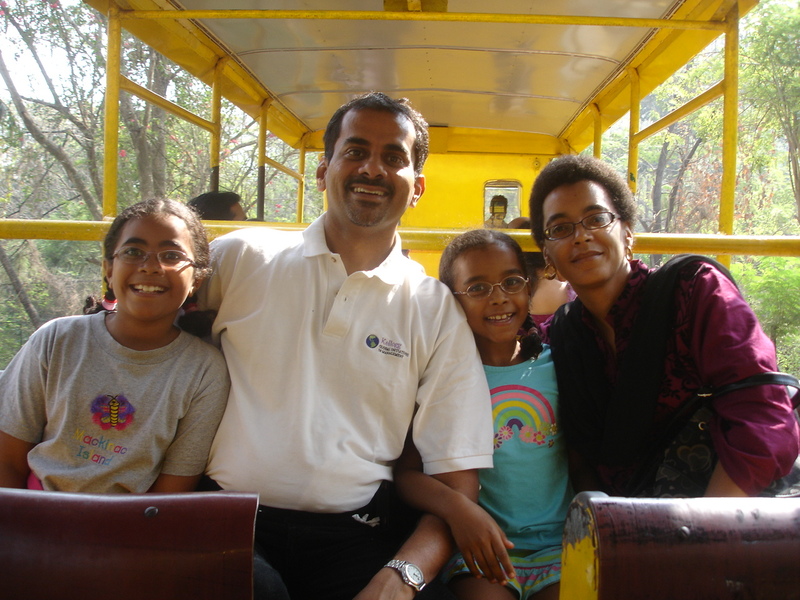 In December 2012, Kellogg Faculty travelled to India and spent 10 days visiting businesses across the cities of Delhi, Mumbai and Bangalore. India@Kellogg spoke to Professor Sunil Chopra who co-led the trip with Professor Jan Van Mieghem about his impressions following the trip. Sunil Chopra is the IBM Distinguished Professor of Operations Management. He was also Interim Dean of the Kellogg School of Management at Northwestern University from 2009-2010. From 2006 – 2009, he served as Senior Associate Dean: Curriculum and Teaching. He became a faculty member of the school in 1989. Previously he was an Assistant Professor at the Stern School of Business Administration at New York University. He has a PhD in Operations Research from SUNY Stony Brook. Could you start by telling us about the trip – it seems like it shared many characteristics with the student GIM trips? What was it like being a student again? The trip was modeled on student GIM trips with classroom teaching and field trips. The idea for the faculty trip originated from a colleague of mine, Jan Van Mieghem. A lot of the growth that we will see in the future will be from emerging economies, including India. Jan, who had not yet been to India, approached me with the idea of designing a trip for Kellogg Faculty as it was a unique opportunity to learn first-hand about a country that will significantly impact growth in the world economy. I was particularly excited with the thought of getting colleagues who have not had direct exposure to India, go on this trip. I have arranged GIM trips in the past and have found that they work best when clear objectives are set at the outset and delivered upon the completion of the trip. In the fall term before the trip, we had 6 weeks of classes to prepare for the trip. The first 3 weeks featured a mix of internal and external speakers, while the last 3 weeks was spent with the faculty making in-depth presentations on companies. These preparatory classed helped us start at a high level of abstraction, so that when we arrived at the companies in India we didn’t have to start from scratch. One of my favorite events was organized at the startup, Mast Kalandar, in Bangalore and was organized by Kellogg alum Neill Brownstein, who co-founded Footprint Ventures. At an event called, “Dancing with the Entrepreneurs”, three startups presented their business ideas to a panel featuring some of the Kellogg faculty members. Through this visit, I felt that the faculty really got a sense of the fundamental differences between doing business in India and in the US. One example is the retail industry – while smaller business ventures may not stand high chances of succeeding within a US context due to cost disadvantages, the same cannot quite be said for India. The question is whether India should bypass big box stores given that major US chains, such as Blockbuster and Best Buy, are struggling. In India, one can ask whether the Internet can be used in conjunction with the smaller retail stores to create a different business model that works within the local context. What do you think were among the major “aha-moments” for the professors on the trip? One such aha-moment occurred during our visit to Abbott India. For instance in one area of their business, Abbott was facing 300 competitors. With such intense competition, companies really need to constantly focus on how best to compete and stay profitable. It was also interesting to contrast the road to success of Pepsi and Godrej. 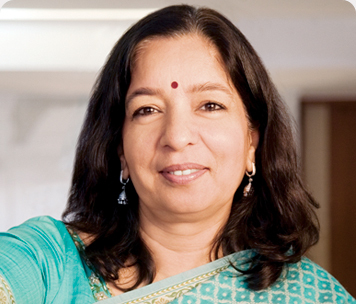 While Pepsi took 15 years to become successful, Godrej became successful almost immediately. Because of this rapid growth in the Indian market, Godrej often faces questions when expanding abroad – simply because the international growth rates are unable to match the domestic growth. The Godrej CEO described how the company’s decision to go multinational was driven by one of their core competencies: The ability to tackle complexity in a highly non-structural environment. Hence, Godrej plans to enter market such as Sub-Saharan Africa, where they have a competitive advantage given their ability to deal with complexity. Finally, it was interesting to see an example of a very process-oriented Indian business such as Infosys in Bangalore. Until 20 years ago, where one could argues that Indian business was very relationship-based, it is clear that managing internal business processes has become key. Any plans to have a faculty trip to other countries? Yes, absolutely – China and Brazil, and other BRIC countries are obvious places for us to plan the next faculty GIM trip. Kellogg has great emphasis on preparing students to be global business leaders. What was the personal learning for you from the GIM trip? From one perspective, our faculty is already very global and through their backgrounds they are able to bring in international perspectives into classroom teaching. Until this trip, I have not had many chances to interact deeply with colleagues from other academic departments at Kellogg. During our company visits, it was interesting to see how cross-functional the questions were. It really allowed me to understand the issues these companies were facing from different angels and gave me a new perspective on Indian business.